Even if we do not have ample money still we have to shop for the basic commodities and for this we head towards the shopping malls that are easily accessible. It is not always about buying expensive stuff only_ that we move towards big malls, sometimes we also check in there for the tiny but important stuff that is indispensable and much needed in the house. So whatever you buy you cannot come out of the malls keeping the stuff all in your hands without any hand carry or plastic wrapper. All the goodies that we buy are to be placed in the shopping bags so to make it easy to carry the stuff and to prevent the luggage falling off the floor. Shopping bags have to be reliable, their handles are to be firm enough so not to break down when heavily loaded. Different materials of paper are used in making the shopping bags, it also depends on the company’s and brands’ budget. But no matter how much budget you have, shopping bags should be designed in a way that make them unbreakable. They should not be transient but liable enough for the reuse next time. Here I have designed free high quality brown shopping bag mock-up to give you the idea that how shopping bag/hand carry should look. If it is eye catchy it will grab the attention of the people passing by. They would for sure gaze at the brand mentioned on it, and it will develop a good stance of yours. 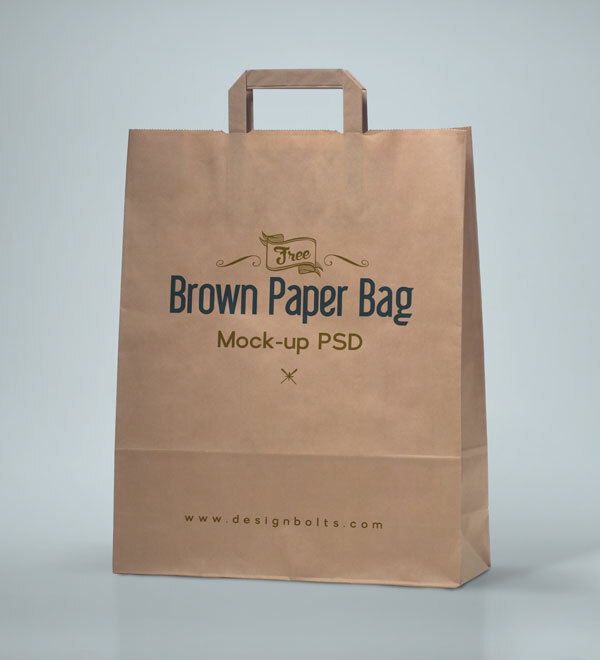 This shopping bag Packaging mockup can be used in making a stunning presentation. If your client wants you to make a shopping bag, you can put your design element into this mock-up and showcase before him straight away to give him the clue how his bag is going to look in actual form. Subscribe us for more design and art posts that we will keep positing interesting and useful stuff for you all. Revert us with your feedback and make sure to mention what more are you supposed to see on the blog, so we will try our best to shortlist the design posts of your needs and requirement!